REVIEWS FROM TripAdvisor.com! Eden Mountain Lodge has GREAT reviews!!! 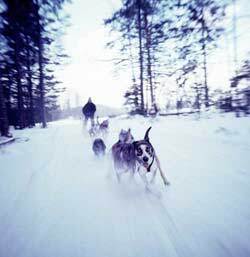 We offer up to 50% dogsledding tour discount for lodging guests. Add $50 for house cleaning and Vermont sales tax to total package price. Rates are for up to 4 person occupancy in the Larkspur and Foxglove cabins and 3 person occupancy in the Buttercup cabin. No tour discount offered during the Holiday period. Rates are for up to 4 person occupancy per night. CABIN rental rates are for up to 4 persons. There is an additional charge of $25 per person per night, $125 per week. Vermont Lodging Tax of 9% will be added to all rental fees. Add 6% Vt. tax for dogsledding costs. We are located in a poor mobile phone reception area. If your smartphone is WiFi calling compatible you will be able to make and receive calls. Please leave kitchen clean, dishes, pots and pans put away when checking out. If cabin is left in disarray you will be charged an additional $50 for extra cleaning costs. Please call Toll Free 1-866-635-9070 for any questions you may have. We are in a beautiful, scenic off the main road location. PLEASE - DO NOT RELY ON GPS OR MAPQUEST which leads you down a seasonal, un-maintained Collinsville road and you will get stuck, PLUS WE CAN NOT PULL YOU OUT! You will have to call 911 and it could be very expensive. Only use our easy to follow directions from Rt. 100 in Eden Mills, VT. and you will not have a problem. GoogleMaps does work we have been told. In Winter when snowing and during Spring mud-season 4-wheel drive or AWD, and/or snow tires are necessary. These discounted lodging rates are NOT available for lodging only, without dogsledding with the Un-Chained Gang! Weekly stays may be booked in any range of 7 dates. We welcome reservation inquiries and will respond as quickly as possible. We may be reached by phone - 802-635-9070 or email - edenmtlodge@gmail.com . A 50% deposit is required at time of booking and is refundable prior to 21 days of arrival date, less an administrative fee of 10% of the total cost of your stay. If cancellation is made less than 21 days prior to arrival, deposit is non-refundable and non-transferable. If we are able to re-book your cabin we will refund your deposit less an administrative fee of 10% of your reservation total. Cancellations after check-in are non-refundable. Foliage and Holiday periods - Christmas / New Years, President's Vacation Week, Martin Luther King Weekend, are payable in full at time of booking. Reservations during these times may be cancelled prior to 30 days and refunded less an administrative fee of 10% of reservation total. If cancelled less than 30 days prior to arrival the deposit is non-refundable and non-transferable. If we are able to rebook your cabin we will refund your deposit less an administrative fee of 10% of reservation total. Cancellations after check-in are non-refundable. Over 75 private acres nestled in 3,000 protected vermont acres. Come experience a truly private four season hide-a-way.